Strategically located in Asia, Singapore is an attractive location for global businesses to access the markets of China, India, Vietnam, Thailand and Indonesia. Arguably, the most important attraction for Singapore-based companies remains the city-state’s quasi-territorial tax system, which means that tax is imposed on all income accrued in or derived from Singapore, as well as on all foreign-sourced income remitted to the country, with certain qualifying exemptions (dividends, branch profits, service income). There is neither any capital gains tax in Singapore nor is there any withholding tax on dividends. There is also no one-tier corporate tax system, capital duty, capital acquisitions tax, inheritance or estate tax, or even net worth/wealth tax in the city-state. Importantly, advance rulings on taxation are possible too. Moreover, there are no significant restrictions on foreign exchange transactions and capital movements in Singapore, which means that funds may flow freely into and from Singapore. While the government imposes certain restrictions on the lending of Singapore Dollars (SGD) to non-resident financial institutions, these restrictions do not apply to the lending of SGD to individuals and non-financial institutions, including corporate treasury centres. We discuss the Singapore corporate taxation scene in detail below. The corporate income tax rate in Singapore is 17 percent, which is calculated on the basis of the company’s chargeable income i.e. taxable revenues less allowable expenses and other allowances. Though the rate itself is one of the lowest in the world, the effective tax payable works out to be even lower if a company takes advantage of all the government incentives, subsidies and schemes. To determine the corporate tax residency of a company in Singapore, the Inland Revenue Authority Of Singapore (IRAS) looks at where the said company is controlled and managed. “Control and management” is the making of decisions on strategic matters, such as those on company policy and strategy. Typically, the location of the company’s Board of Directors meetings, during which strategic decisions are made, is a key factor in determining where the control and management is exercised. This is also important for IRAS before it decides on giving a Singapore-based company exemption on its foreign-sourced service income. Every company in Singapore is free to determine its financial year end (FYE), which does not necessarily have to be December 31. It is advisable though to keep the company’s FYE within 365 days in order to fully enjoy the zero tax exemption for new start-up companies. Similarly, every company must file its tax returns by November 30 of the assessment year for income earned in the preceding accounting year. e-Filing will be made compulsory in a phased approach from YA 2019. Importantly, companies in Singapore are allowed to carry forward the unabsorbed trade (rental) losses and capital allowances to subsequent years to offset against the income of those years until the trade losses are fully utilised (subject to conditions). Please note: Corporate tax filing season is here! GIRO is the preferred method of payment as it allows tax payment by instalments. Singapore-registered companies can enjoy up to 10 interest-free monthly instalments when they file their Estimated Chargeable Income electronically within three months from their financial year end. 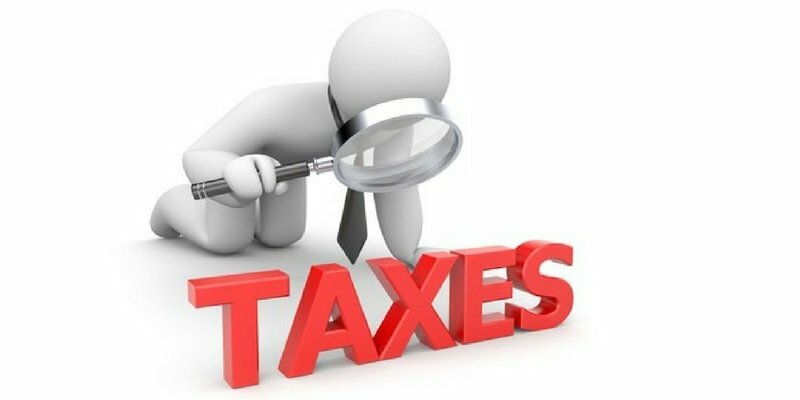 Companies must pay their tax within one month from the date of the Notice of Assessment (NOA). When payment is not received by the due date, a 5% penalty can be imposed on the overdue tax. A 1% additional penalty per month may be imposed if the tax is still not paid 60 days after the 5% penalty is imposed. The 1% penalty is imposed for each month that the tax remains unpaid, up to a maximum of 12 months. Every company in Singapore is required to file returns even if it is making losses. Companies that do not meet the Form C-S qualifying conditions will need to file Form C together with their financial statements, tax computations and supporting schedules. From Year of Assessment (YA) 2012, to simplify the filing procedure for small companies, IRAS introduced Form C-S – an Income Tax Return form shortened to three pages for qualifying small companies to report their income to IRAS. It comprises a declaration statement of the company’s eligibility; information on tax adjustments; and information from the financial accounts. Do note that qualifying small companies are also not required to submit financial statements and tax computation because essential tax information and financial information would have to be declared in the Form C-S. However, companies should prepare these financial statements and tax computation and submit them to IRAS upon request. Filing correct PIC claims is important, as offenders convicted of PIC fraud will have to pay a penalty of up to four times the amount of cash payout fraudulently obtained, and a fine of up to $50,000 and/or face imprisonment of up to five years. This includes any person who willfully assists another person to obtain a cash payout or PIC bonus which he/she is not entitled to. other gains that are revenue in nature. Meanwhile, non-deductible business expenses include personal expenses such as travel or entertainment not related to the running of the business, and capital expenses such as expenses incurred to incorporate a company and purchase of fixed assets. Also, note that with regard to the renovation and refurbishment costs, these can be claimed only over three successive years, with the total capped at $300,000 for every three-year period. Deductible expenses are expenses that are attributed to the investment income. These may be incurred directly, indirectly, or in accordance with statutory and regulatory provisions. Indirect expenses are capped at 5% of the total investment income. The allowable development costs include land cost, stamp duty, property tax, construction cost, architect fee, differential premium, development charge and financing cost. Marketing and promotional expenses are deductible in the year in which they are incurred. Moreover, income derived from construction contracts is to be recognized using the percentage of completion method. This means that the revenue and costs associated with a particular YA is determined by the stage of completion at the end of that YA only. For Singapore tax resident companies, who also do their business overseas, it’s quite common nowadays to have their foreign sourced income remitted to Singapore. Since the city-state follows a progressive tax framework based on territorial policy, this foreign sourced income is also taxed. Though, as detailed in Sections 13 (7A) to 13 (11) of the Income Tax Act (ITA) of Singapore, companies can benefit from the foreign sourced income exemption scheme (FSIE), which is applicable to foreign-sourced dividend, foreign branch profits, and foreign-sourced service income. Sometimes, foreign income of a Singapore tax resident company may be subject to taxation twice – once overseas, and then a second time when the income is remitted into Singapore. For such cases, IRAS has a foreign tax credit (FTC) scheme, which allows the company to claim a credit for the tax paid in the foreign country against the Singapore tax that is payable on the same income. Under this, two types of credit or relief can be claimed. The government, in 2011, also introduced a Foreign Tax Credit (FTC) pooling system to give businesses greater flexibility in their FTC claims, reduce the taxes payable on foreign income, and to simplify tax compliance. It must be noted that for Singapore-based companies to enjoy exemptions under the FTC or FSIE, the headline corporate tax rate in the foreign country from which the income is received must be at least 15 percent, and the income must have already been subjected to tax in that particular country. be imprisoned up to three years. If the intention was to evade taxes, the taxpayer may face a penalty up to 400% of the amount of tax undercharged; be fined up to $50,000; and/or be imprisoned up to five years. Overwhelmed by the detailed overview of Singapore corporate taxation filing mistakes above? Don’t worry, we are here to help. Rikvin’s reputation as Singapore’s leading corporate services provider and tax agent is unmatched. In fact, Rikvin has been awarded one of the top 15 e-filing tax agents in Singapore. Need help filing your corporate taxes online? Let us do the work for you. With Rikvin, corporate tax filing is done right and well before the deadline.